Elon Musk in a genius -- from SpaceX to Tesla to Paypal -- he has us inventing like almost no one else can. Now his concept of the Hyperloop is once again breaking all preconceptions of travel on Earth. Forget planes, trains, automobiles, and boats--Musk's promised open source plans would take us from New York to Los Angeles in under 45 minutes! In business school, we were taught to think in terms of better, faster, cheaper--what's amazing about Musk is he has a track record of not just thinking it, but making it so. 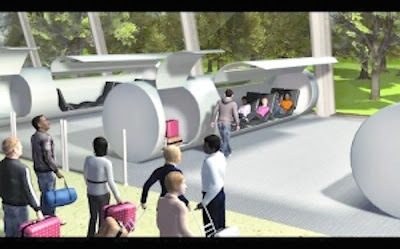 While the Hyperloop doesn't exist today, I find it awfully exciting to think that one day, it will.